Its about this time of the year that UK and European paddlers get itchy feet and want to jet off somewhere a little warmer for some fun in the sun. Fed from the Atlas mountains, the clear waters of the Ahansel River in Morocco provide the perfect escape! The perfect time to visit this exotic destination is March and April when the snow melts and feeds into the rivers. 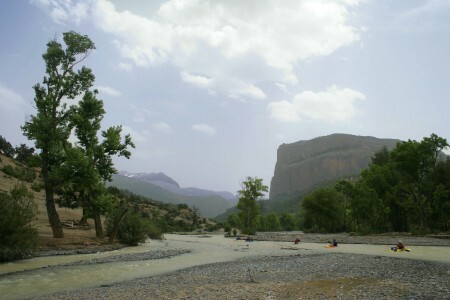 The trip is around 100 kilometres in length and makes for a comfortable 4 days paddling in the heart of Berber country. Drag your eyes from the river and you will be streated to stunning gorges and Kasbahs dotted across the hilltops. This year has seen record rainfall (and snow) so we can expect a long and water filled season. The drive to the river takes in stunning scenery alongside the Atlas mountains with views of North Africas highest mountain Mount Toubkal on a clear day. As we wind our way through the mountains we get our first view of the Ahansel River. Our first night is spent beneath the mazing Cathedral Rock in the heart of the mountains. Our first day on the river treats us to wonderful scenery and wildlife. We often see monkeys and turtles on this section of the river. The river here is mainly Grade 2, so a perfect warm up to the next couple of days. After the next village the river narrows and we are treated to a fantastic range of rapids of Grade 2-4 depending on the water level. With a large fully provisioned gear raft to support us, we can take many of the home comforts not possible on a self-supporting expedition. The Ahansel River has many features similar to many alpine rivers in Europe and all within an short flight from the UK. The last day on the river sees the river narrowing even more as we experience some of the most stunning scenery we have seen anywhere in the world. At the confluence with the lake, you will have to paddle through a large area of wood onto the clear waters of Bin El Ouidane. Here we are collected by our motor boat and get the ride 9km across the lake. 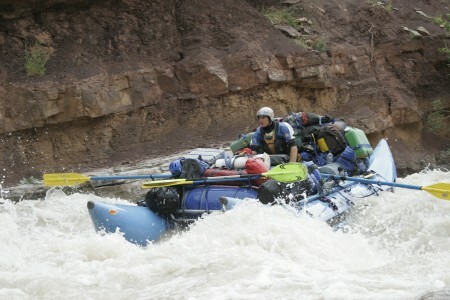 Taking the food and beers, gear raft support. Back to Marrakech for a night and then our journey takes us out to the amazing coastal town of Essaouira where we spend two nights. The surf in Essaouira is fantastic! Drive up the beach for surf as gentle or as big as you like. 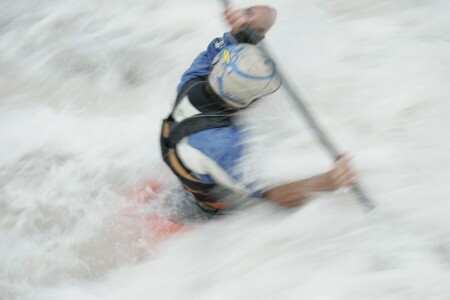 The Atlantic surf will keep the most avid surf kayaker interested. 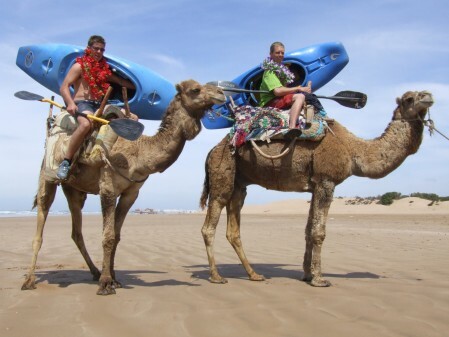 As we paddle in the ocean, you’ll see camels walking past, just to give you that reality check; you are in Morocco! After paddling there are many excellent fish restaurants to try, with fresh fish straight off the many fishing boats being used. 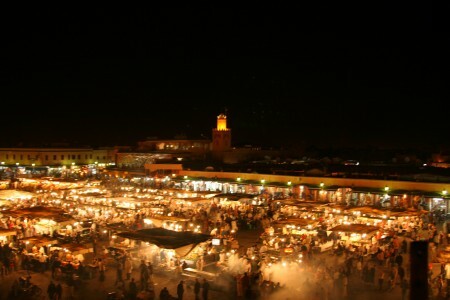 As we travel back to Marrakech, it will become evident at just how much we have packed into 10 days. For a kayaking holiday with a difference, Mellow Morocco is hard to beat.